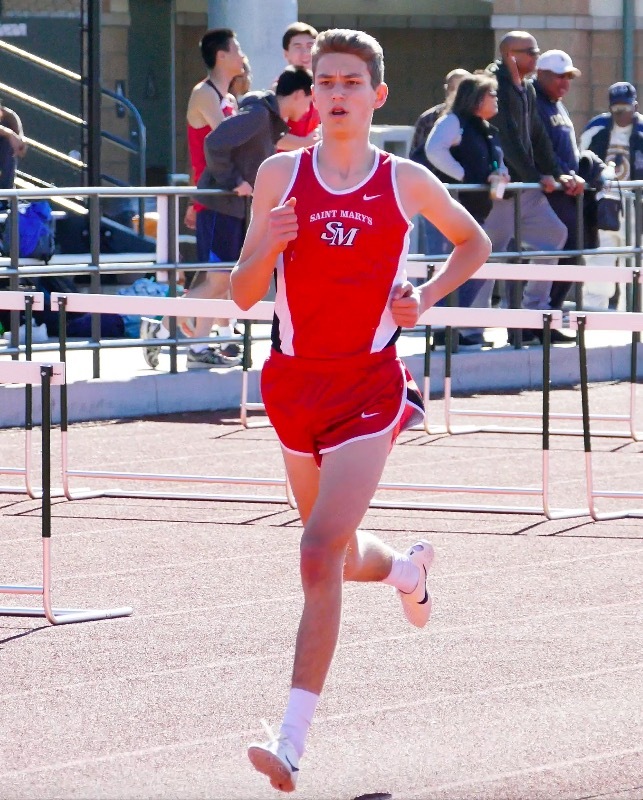 The Saint Mary’s track & field team opened their 2019 TCAL season on Thursday against league rivals Albany, El Cerrito, Kennedy and Vallejo. 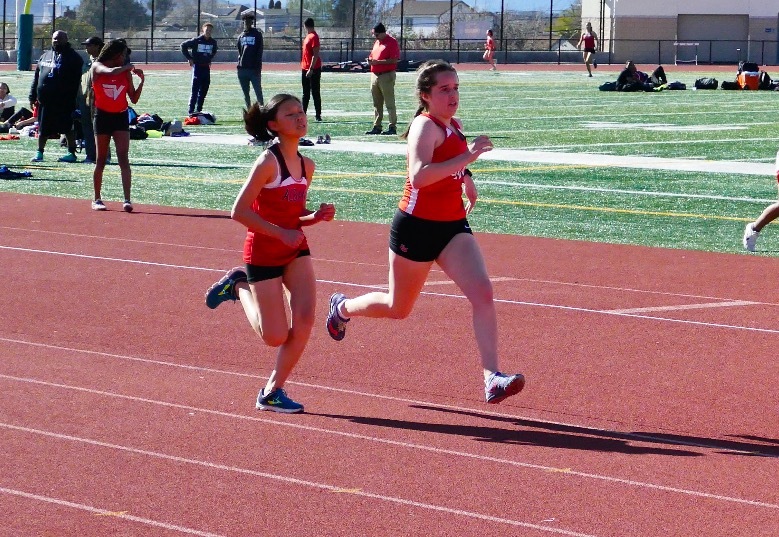 The meet was at El Cerrito, site of the 2019 league championship meet and featured several impressive performances by the Panthers. Grabbing the headlines were senior Sophia Alexander, junior Zach Deering-Haddix and a trio of girl jumpers. Sophia, who continues to shine in this her final season for the Panthers, turned in the fastest 100 meter time in the North Coast Section this season… running a PR 11.97. 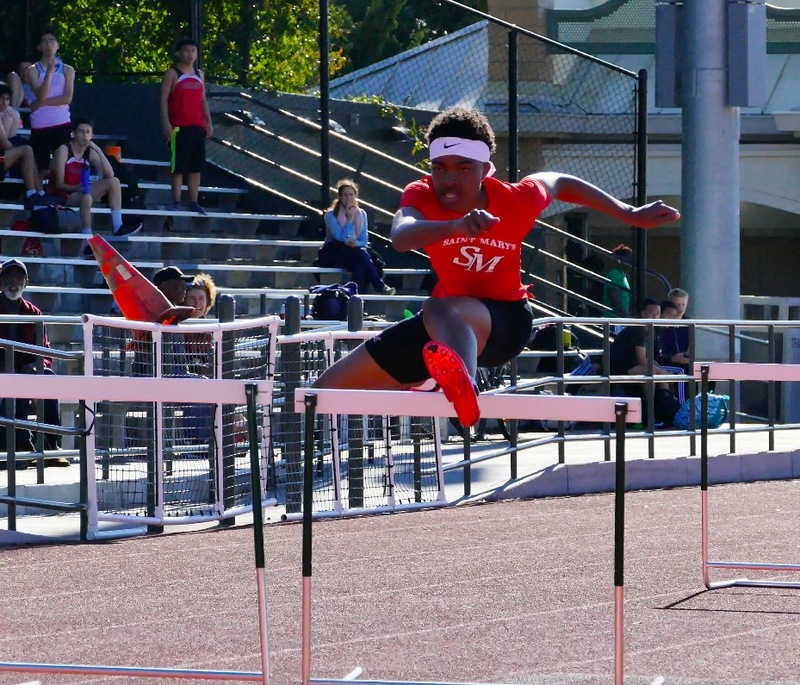 After a summer and fall or preparation, the talented 12th grader finally eclipsed the revered 12 second barrier. She later came back to win the 200 in 24.90. Certainly a fine meet for Sophia in leading the lady Panthers to wins against all four TCAL opponents. Junior Zach Deering-Haddix, whose preseason work and commitment has been a constant conversation among the coaching staff, began his league season with a PR 6’3” win in the high jump. 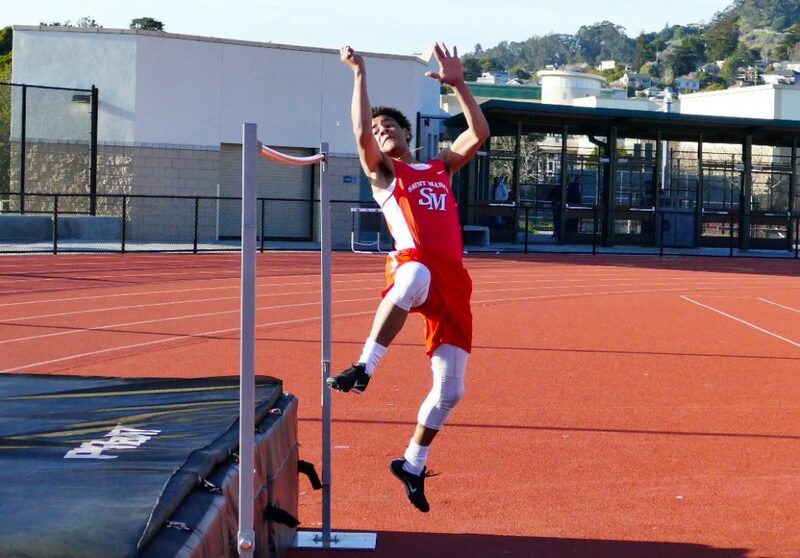 According to coach Jeff Rogers, he’s beginning to emerge as one of the top jumpers in the NCS. He also recorded his second consecutive meet over 20’ in the long jump and won the triple jump to garner the Panthers much needed points in a very tight boys competition with Vallejo and Albany. A trio of jumpers, freshman Anela Thomas, sophomore Simone Rogers, and junior Lydia Howard combined to win the girls triple, high and long jumps respectively. Anela, fresh off the varsity basketball court and brand new to track, is showing “a lot of promise” according to coach Jay Lawson. “Anela’s attitude and desire to want to be good in track has been a real bright spot for us. 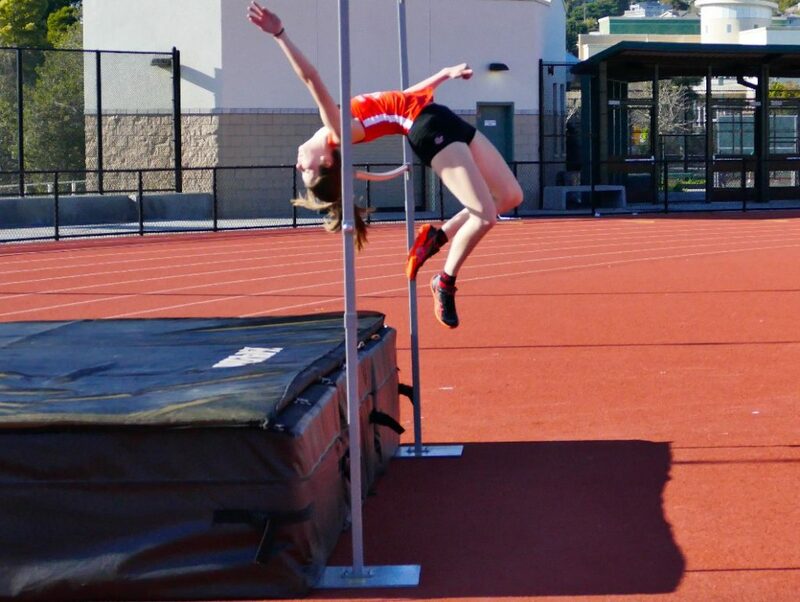 We hope that she serves as an example to all the club and AAU athletes that there is room in their life to excel at more than just one sport.” Her 33’4” jump is among the top jumps for a freshman in the entire North Coast Section so far this year. Sophomore Simone Rogers, still undefeated in the high jump this year, won her 3rd consecutive meet… clearing 5’0” to win her competition by 8 inches. Her season best of 5’2” is tops in the North Coast Section so far this year. Junior Lydia Howard, who also spent the winter playing basketball, is emerging as one of the top all-around jumpers is the area. 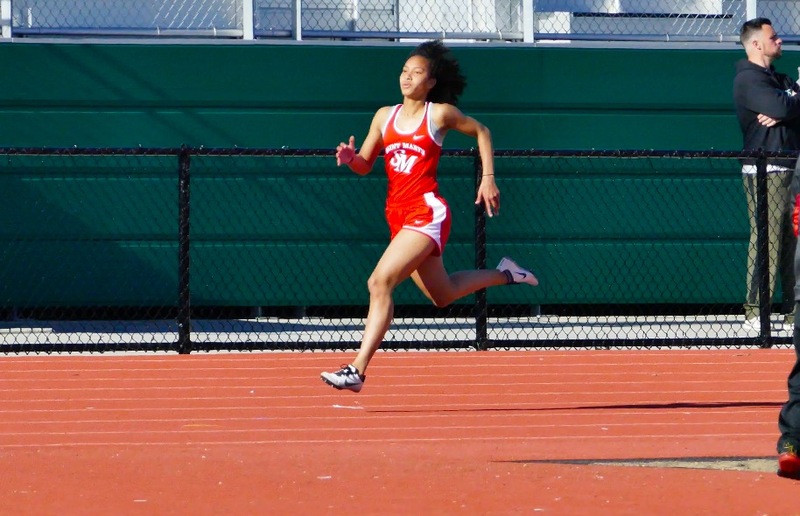 She won the long jump on Thursday, has one of the best jumps in the NCS so far this year, and is a fine high and triple jumper as well. Her contributions going forward this year will be key to the Panthers quest to once again repeat as TCAL and NCS champions. Other notable performances on Thursday were turned in by Olivia Lawson who won the girls 1600, Amelia Tremain (100m hurdles), Sofia Bailey (300 hurdles), Jordan Cornet (800), Di’Niko Bates (300 hurdles) and sophomore Ericka Marbley (shot put)… whose win in the shot put was “awesome” according to Coach Heuer. Next up for the Panthers is the St. Francis Invitational on Saturday at St. Francis High School in Mountain View.